The details of the complex formed between a drug molecule and its protein target is of key importance for in vivo drug efficacy. Most efforts in early drug discovery focus on optimization of drug-receptor interactions, such as target affinity and selectivity, whilst minimizing potential adverse ADMET effects. However, novel approaches are necessary in early drug discovery for optimal drug design and improved therapy, as attrition rates in clinical trials are disappointingly high. Recently, the kinetics of a ligand-target interaction, such as the residence time of a small molecule on its protein target, are seen as increasingly important for in vivo efficacy and safety. However, the prospective use of this novel concept in medicinal chemistry and drug design has taken long to emerge. 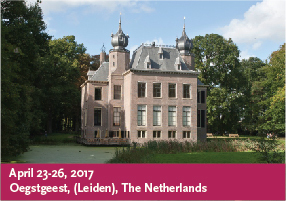 Hence, the 13th EFMC Short Course on Medicinal Chemistry will provide a firm conceptual framework for the study of target binding kinetics. The focus of this course will be centred on all aspects of target binding kinetics, where renowned international experts in the field will highlight the concept and development of different kinetic binding assays, specific protein target interactions, impact of drug rebinding and PK/PD modelling. Moreover, an industrial view on the importance, value and positioning of binding kinetics in drug discovery projects will be given. For this purpose, tutorials and real life examples will assist the participants in the short course to grasp not only a basic understanding but also to bring home inspiring case studies from both an academic and industrial perspective.